Some people easily recall dreams, while others don't, or just remember their last experience "dream" as their consciousness returns to their physical body. 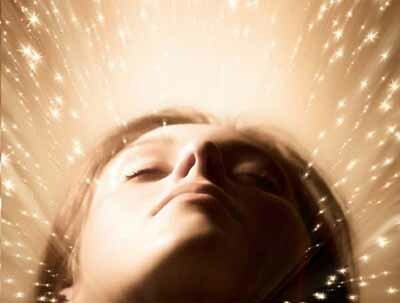 Lucid dreamers are aware that they are dreaming and interact to that end within their dreams. 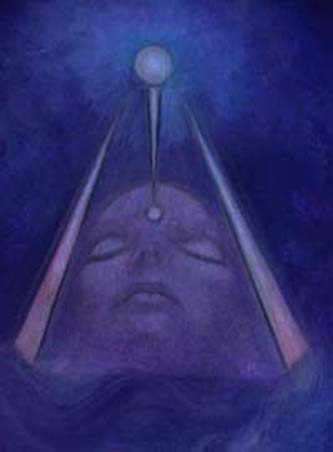 When one falls asleep here - their conscious awareness - to some degree - leaves their physical body. It is all part of the concept that reality is a consciousness grid simulation in which we interact within many grids simultaneouly. Some dreams take us far away so we are not easily awoken here, while others are about events in our physical timeline. Many people use dreamscapes to heal and resolve issues, while other prefer higher frequency learning experiences. Responding to one's name has to do with focus and conditioning in any reality. In dreamtime, you may go by another name. When you wake up here, your dream continues on whatever your frequency signature is. People who tend to remember their dreams also respond more strongly than others to hearing their name when they're awake, new research suggests. Everyone dreams during sleep, but not everyone recalls the mental escapade the next day, and scientists aren't sure why some people remember more than others. To find out, researchers used electroencephalography to record the electrical activity in the brains of 36 people while the participants listened to background tunes, and occasionally heard their own first name. The brain measurements were taken during wakefulness and sleep. Half of the participants were called high recallers, because they reported remembering their dreams almost every day, whereas the other half, low recallers, said they only remembered their dreams once or twice a month. When asleep, both groups showed similar changes in brain activity in response to hearing their names, which were played quietly enough not to wake them. However, when awake, high recallers showed a more sustained decrease in a brain wave called the alpha wave when they heard their names, compared with the low recallers. "It was quite surprising to see a difference between the groups during wakefulness," said study researcher Perrine Ruby, neuroscientist at Lyon Neuroscience Research Center in France. The difference could reflect variations in the brains of high and low recallers that could have a role in how they dream, too, Ruby said. A well-established theory suggests that a decrease in the alpha wave is a sign that brain regions are being inhibited from responding to outside stimuli. Studies show that when people hear a sudden sound or open their eyes, and more brain regions become active, the alpha wave is reduced. In the study, as predicted, both groups showed a decrease in the alpha wave when they heard their names while awake. But high recallers showed a more prolonged decrease, which may be a sign their brains became more widely activated when they heard their names. In other words, high recallers may engage more brain regions when processing sounds while awake, compared with low recallers, the researchers said. While people are asleep, the alpha wave behaves in the opposite way - it increases when a sudden sound is heard. Scientists aren't certain why this happens, but one idea is that it protects the brain from being interrupted by sounds during sleep, Ruby said. Indeed, the study participants showed an increase in the alpha wave in response to sounds during sleep, and there was no difference between the groups. One possibility to explain the lack of difference, the researchers said, could be that perhaps high recallers had a larger increase in alpha waves, but it was so high that they woke up. The researchers saw that high recallers awoke more frequently during the night. They were awake, on average, for 30 minutes during the night, whereas low recallers were awake for 14 minutes. However, Ruby said "both figures are in the normal range, its not that theres something wrong with either group." Altogether, the results suggest the brain of high recallers may be more reactive to stimuli such as sounds, which could make them wake up more easily. It is more likely a person would remember their dreams if they are awakened immediately after one, Ruby said. However, awakening at night can account for only a part of the differences people show in remembering dreams. "There's still much more to understand," she said.